General dentistry encompasses examination, diagnostics, prevention, and treatment of various diseases, disorders, or decay within the human mouth. It is the basis of virtually all dental practices and the foundation upon which Dr. Greg Larsen gives men, women, and children in Sandy, Utah, superior oral health care. If you’re looking for a dentist who takes the time to get to know every person in his care, schedule an appointment to meet with Dr. Larsen today. Why is it important to choose a general dentist? Much like choosing a primary care physician, the general dentist you select will guide the course of your oral health. Dr. Larsen takes this responsibility to heart, and he is passionate about educating patients to control their preventive dental care in between office visits. Your general dentist is the professional you’ll see for routine dental examinations as well as appointments aimed at providing cosmetic or restorative care. Over time, you’ll build a relationship with your general dentist, giving you a valuable resource to turn to when you have dental questions or concerns. An essential part of general dentistry is creating a comprehensive dental record. During each office visit, Dr. Larsen and his staff collect valuable information about your current dental health. That includes X-rays, treatment plans, your patient history, and various notes concerning your teeth, gums, and other tissues in your mouth. As that record grows, it becomes an essential source of information for both you and Dr. Larsen. It allows him to track changes over time and easily detect abnormalities. 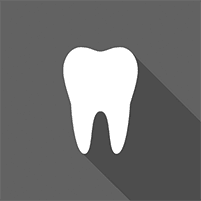 Your dental record also shows which treatments were effective for you in the past. Many people select a general dentist that has been in practice for a significant period, as Dr. Larsen has. Doing so ensures that if a severe dental problem arises, Dr. Larsen can access his professional network to find the best possible provider for your needs. Just as a primary care physician directs you to the appropriate medical specialists, Dr. Larsen can help you find a great dental specialist. Once treatment begins, he coordinates your care with the specialist to ensure that your needs are adequately met.